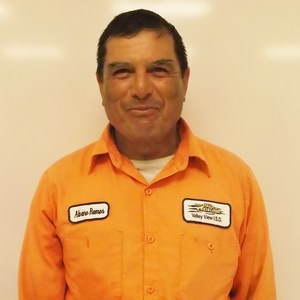 Shining bright this week on the Tiger Spotlight for ECC is none other than Mr. Alvaro Ramos. Mr. Ramos is the reason that the grounds at ECC always look spectacular. He is out there taking care of this campus regardless of what the weather is like. Mr. Ramos is a perfectionist at everything he does. You have to know him well to know this. He is also an avid traveler. He has traveled around the world. His creativity can be seen around our campus. He has donated several hand made trees to the campus and they decorate the offices of this school and the front yard. Thank you, Mr. Ramos, for all that you do!